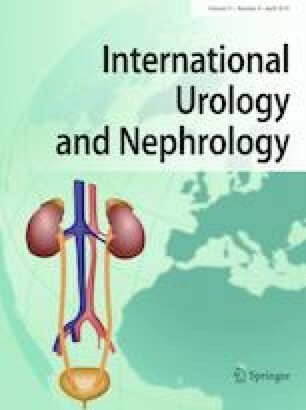 Urinary incontinence (UI) is one of the most bothersome surgical side effects after robot-assisted radical prostatectomy (RARP). Alteration of both smooth and striate urethral sphincter occurs after RARP. Since the contraction of perineal muscles is involved in the complex mechanism of urinary continence, the uroflow stop test (UST) seems to predict early continence recovery after RARP. The UST was added of perineal surface electromyography (EMG) evaluation to evaluate the latency time (LT) between muscular contraction and the complete stop of urine flow. Our aim was to present UST–EMG as a new tool in the investigation of UI, implying pelvic floor integrity, and to evaluate whether an early return (≤ 3 months) to preoperative LT could be associated with early recovery of UC (≤ 3 months). After prospectively enrolling 137 patients who underwent RARP with a minimum follow-up of 6 months, we identified two groups: Group 1 (93 patients) with early (≤ 3 months) pre-surgical LT recovery and Group 2 (44 patients) with late > 3 months or not able to reach pre-surgical LT recovery. Between the two groups, there were significant differences in terms of different surgical technique (nerve-sparing versus non-nerve-sparing) and pads use at 3 and 6 months after RARP (p < 0.05). No differences were recorded neither in postoperative maximum flow-rate, nor in postoperative symptoms score. UST with EMG can be considered as a noninvasive, reproducible and easily performable tool. LT is applicable in the clinical evaluation to predict urinary continence recovery after RARP. We are very grateful to the nurses Ms. Angela Branca and Ms. Silvia Ceccarelli for their assistance in every day clinical practice.